When the New Jersey Devils were winning Stanley Cups, their foundation was built with solid drafts and depth, coupled with smart trades. Broke Steven Stamkos’ Junior goal record, notching 62 markers. Netted eight goals last season with New Jersey. Boucher is in his fourth NHL season. The 2011-12 Calder Trophy finalist notched two playoff series-winning goals that season, vanquishing the Florida Panthers and New York Rangers. Henrique netted a career best, 30-goals, in 2015-16. Henrique is in his seventh NHL season. Totaled 14 points across 58 contests last season. Josefson is in his seventh NHL season. Merrill posted five points across 47 contests last season. Merrill is in his fourth NHL season. 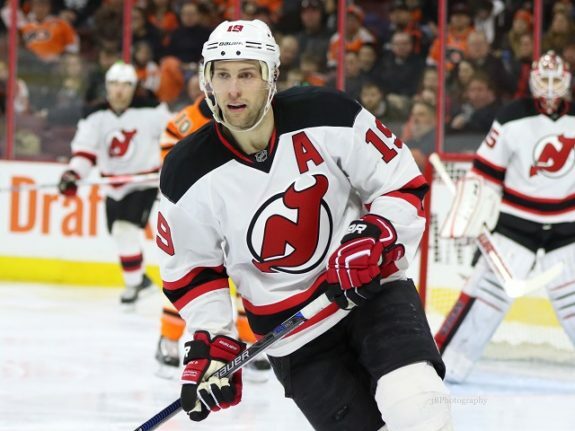 Aside from one season, Zajac has been an iron man for the Devils. He netted seven goals, including two game-winners, during the Devils’ run to the Stanley Cup Final in 2011-12. 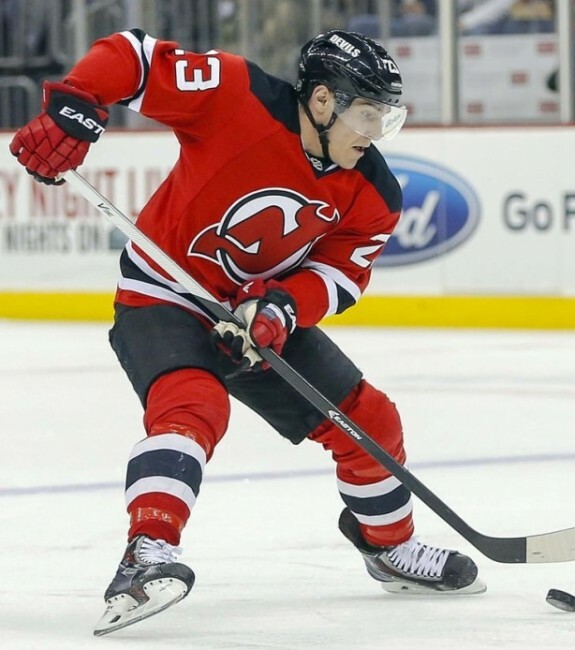 The Devils’ alternate captain posted 42 points last season. Zajac is in his eleventh NHL season. Recorded two helpers in his NHL debut with New Jersey last season. Zacha is an NHL rookie. Registered 20 assists in 72 contests last season. Severson is in his third NHL season. Recorded two penalty minutes in his NHL debut last season. Santini is an NHL rookie. Wood played in New Jersey’s season finale in 2015-16. In one season with the Boston College Eagles, Wood posted 35 points in 37 games. Wood is an NHL rookie. Speers skated three seasons with the OHL Sault Ste. Marie Greyhounds. Last season, Speers scored 26 goals in 68 games. Speers is an NHL rookie. Another nugget unearthed as a free agent in 2006, Greene has been the most consistent Devils blueliner since the 2013 campaign. The Devils captain potted four goals in 82 games last year. Greene is in his eleventh NHL season. Signed in 2014, Cammalleri’s 27 goals in 2014-15 were the most in a single season by a free agent in franchise history. Cammalleri is in his fourteenth NHL season. Signed in 2015, Kalinin posted 15 points across 78 contests last season. Kalinin is in his second NHL season. Signed in 2016, Lovejoy was a member of Pittsburgh’s Stanley Cup winning team in 2015-16. Lovejoy is in his ninth NHL season. Signed in 2015, Moore registered a career-best 19 points in 73 games last season. Moore is in his seventh NHL season. Signed in 2011, out of Union College, Kinkaid set career highs with nine victories and two shutouts last season. 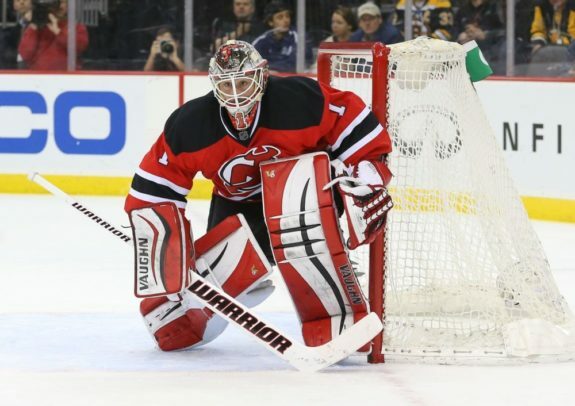 Kinkaid is in his fourth NHL season. Signed in 2016, Fiddler played all 82 games last season with the Dallas Stars, netting 12 tallies. Fiddler is in his fourteenth NHL season. Signed by the Devils in 2016, Auvitu totaled 21 points and posted a plus-22 rating in 48 games with HIFK Helsinki last season. Auvitu is an NHL rookie. Signed in 2016, Quincey recorded four goals in 47 games with the Detroit Red Wings last season. Quincey is in his twelfth NHL season. 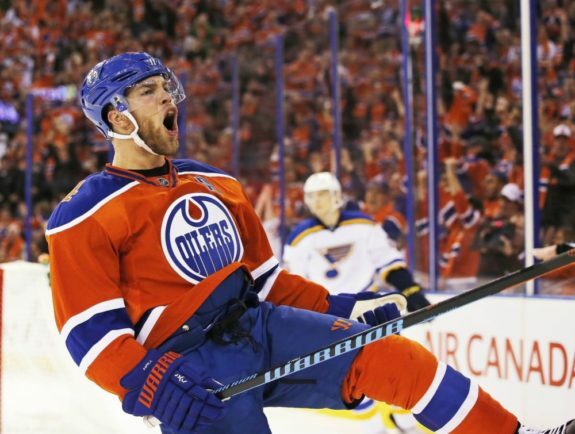 Signed in 2016, Gazdic recorded one goal and 24 penalty minutes in 29 games with the Edmonton Oilers last season. Gazdic is in his fourth NHL season. Schneider was acquired at the NHL Draft from the Vancouver Canucks on June 30, 2013, for New Jersey’s 1st round pick in that draft which the Canucks turned into Bo Horvat. 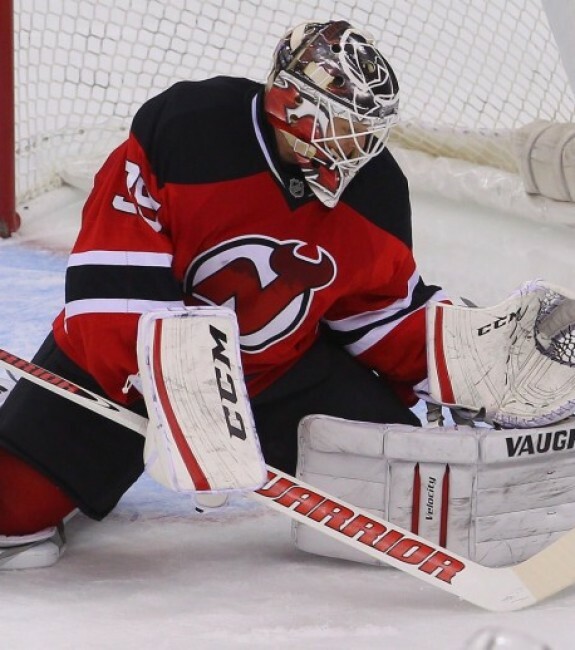 Schneider has 12 shutouts in three seasons with the Devils. Schneider is in his ninth NHL season. Acquired from the Oilers in 2016 for Adam Larsson. Hall posted 26 goals in 82 games last season. Hall is in his seventh NHL season. Acquired from the Anaheim Ducks in 2015 for second and third round draft picks in 2015. Palmieri netted a career-high 30-goals with the Devils last season. Palmieri is in his seventh NHL season. Acquired from the Montreal Canadiens in 2016 for Stefan Matteau. Smith-Pelly notched eight goals in 18 games with New Jersey late last season. Smith-Pelly is in his sixth NHL season. Traded from the Penguins for a 2016 third round pick. Bennett registered six goals in 33 games with the Stanley Cup champions last season. Bennett is in his fifth NHL season. New Jersey claimed Parenteau off waivers from the New York Islanders in 2016. Last season with the Toronto Maple Leafs, Parenteau netted 20 goals. Parenteau joins Sergei Nemchinov, Pat Conacher, Mike Dunham, Kevin Weekes, Mike Mottau, Vladimir Malakhov, Joel Bouchard, and John Vanbiesbrouck, as players who have skated with all three NYC metro area teams. Parenteau is in his ninth NHL season.